If you're scouting for a casual yet stylish getup, wear a grey polka dot dress shirt with grey skinny jeans. As well as very comfortable, these items look great when worn together. When it comes to footwear, this look is finished off nicely with Nine West Astoria Pump. If you're on a mission for a casual yet chic ensemble, consider pairing a white plaid coat with navy skinny jeans. These two pieces are very comfortable and they will also look great paired together. You could perhaps get a little creative when it comes to footwear and dress up your getup with Nine West Astoria Pump. If you're searching for a casual yet seriously chic ensemble, pair a white v-neck t-shirt with black leather skinny jeans. These two pieces are very comfy and look great paired together. And if you want to instantly up the style ante of your look with one piece, add Nine West Astoria Pump to the equation. 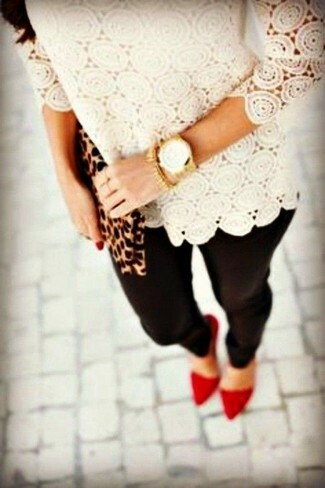 If you're on a mission for a casual yet incredibly chic look, wear a red floral cardigan with navy ripped skinny jeans. These garments are very comfy and they will also look stunning paired together. Opt for a pair of Nine West Astoria Pump from Nordstrom to take things up a notch. If you're scouting for a casual yet incredibly stylish getup, choose a black fur jacket and a red jumpsuit. These two items are totally comfy and look wonderful together. When it comes to shoes, this look is round off really well with red suede pumps. If you're on the lookout for a casual yet absolutely chic outfit, dress in a black quilted leather biker jacket and blue skinny jeans. These two pieces are very comfy and look great together. 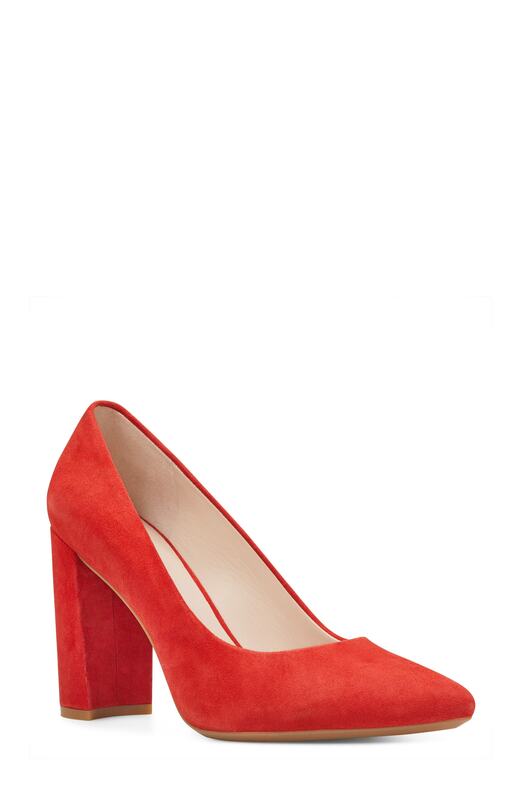 Up the cool of your outfit by complementing it with Nine West red suede pumps. Rock a beige lace long sleeve t-shirt with black leggings if you're in search of an outfit idea for when you want to look casually cool. Opt for a pair of red suede pumps to kick things up to the next level. If you're searching for a casual yet totaly chic getup, opt for a black coat and light blue jeans. As well as totally comfy, both of these items look incredible together. Round off with Nine West red suede pumps and off you go looking stunning. If you're hunting for a casual yet incredibly stylish outfit, marry a pink coat with a black mini skirt. As well as very comfortable, both pieces look fabulous together. Bring a touch of sophistication to your getup with red suede pumps.